Hi guys! I've been pretty silent for a while. A lot has been going on. First on the horizon is a big move. Yes, my husband and I are moving from Albuquerque, New Mexico back to good ol' Washington State. 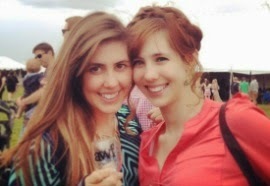 One of things I'm most excited about is being able to collaborate on blog posts with fellow contributor, Jamie. While Jamie and I have been best friends for 10 years, I didn't start this blog until after I moved to New Mexico so we haven't had that opportunity yet. My last day at my full-time job was June 10th. When I resigned I knew I'd be spending a lot of time prepping the house to move, but I didn't even think about how much time that would take. I think I'm more busy now than when I was working! I've spent so many hours packing, cleaning, taking things to Good Will, etc., that I think I actually relax for 1 to 2 hours each night. I have to say, it's been kind of enjoyable though. I've been able to see substantial changes around the house, which is satisfying, and I've been getting a good workout at the same time. Of course, I still am self-employed part-time with my company (Major Media + Design) so I'm not totally work free - but I've gotten a taste of what it's truly like to control my own schedule and I have to say I'm in love. I've learned that I know how to work hard even around my house with it's endless available distractions and I'm pretty excited by that discovery. Of course the move is going to settle down soon. We plan to be in Washington a week from Saturday. We really are selling everything (if you live in Albuquerque, check out my Craigslist add! ), so while that makes move prep more time consuming, moving in should be a quick and easy process. After all this hard work I figured I deserve a drink, and I'm guessing you've been working away and deserve one too! It's summer now, so we are into the land of fruity cocktails that I adore. This one is so easy, you could probably make it blind folded. Seriously, it's 1 part Svedka Strawberry Lemonade, 1 part tonic water, and a squeeze of lemon. Delicious! I chose to garnish mine with chopped strawberries and a lemon (please don't do this part with your eyes closed) to add some color. To fill my glass I used 2 shots of the Svedka and 2 shots of the tonic water. Really, though, as long as they are equal parts, you're good. 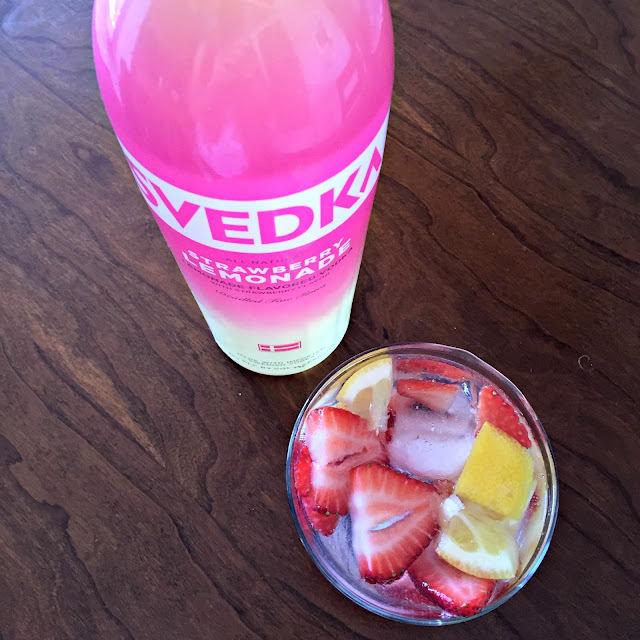 This tastes exactly like an adult version of Strawberry Lemonade, so your tastebuds will be happy even if you aren't really a Vodka lover. If you've been working hard, don't forget to take a break this weekend and have a drink. Cheers! College students across the nation rejoice! The long semester has finally come to a close and with the conclusion of finals, we can now venture into three long months of lazy summer afternoons and cool summer nights. One trend we’re loving this summer is the festival ready, flower child inspired looks seen already at many a music festival earlier in spring. With the warmer weather that comes with summer months, these looks are easy, breezy, and cool even on the hottest of days. Check out the H&M Loves Coachella collection for more fun, festival outfits! 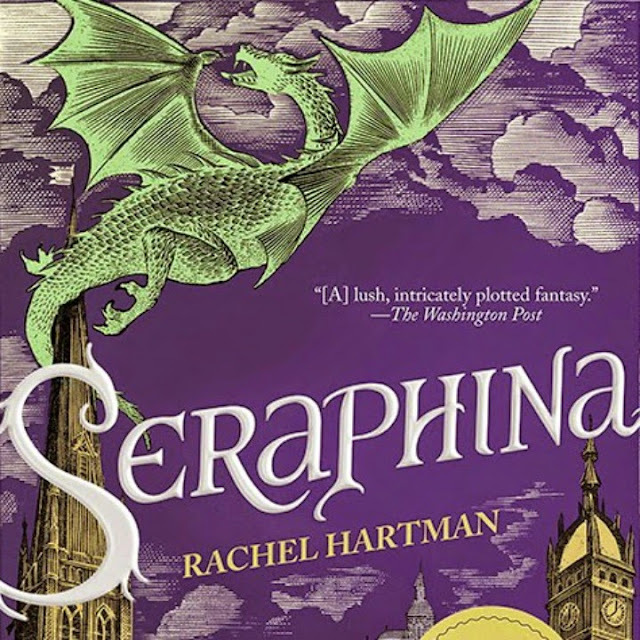 If you have yet to discover the fantastic world of Seraphina by Rachel Hartman, now may be the perfect time. You've probably been watching the latest season of Game of Thrones and been wondering if there is any way to infuse more dragons into your life... especially since Khaleesi seems to have lost all control of her dragons. And if you haven't been watching Game of Thrones... that's OK, because once you get past dragons and a vaguely Medieval world, that's where the similarities pretty much stop. In Seraphina's hometown of Goredd, dragons are accepted as an unfortunate part of life. Dragons used to hunt humans just a few decades ago, but thanks to the current queen a treaty was signed and an uneasy peace has reigned ever since. Dragons have analytical minds, much like the Vulcans of Star Trek, and make decisions based entirely on reasoning. Their lack of emotions and refusal to understand emotions keeps dragon/human relations from improving past the point of tolerance. No longer allowed to take their natural form around cities, dragons must fold themselves down into human shape and are thus allowed to attend court, live in the city, and work for living. The anniversary of the treaty is coming soon and Seraphina, who works as a musician at court, is busy preparing the musical entertainment for the celebration and arrival of the leader of dragons. In a time already filled with tension, a member of the royal family has been murdered and all the evidence points toward a dragon as the murderer. Seraphina is worried for both sides as the big day draws near, for she is half human and half dragon due to the illegal marriage of her father (a human) and mother (a dragon). No one must be allowed to discover Seraphina's secret as she would surely be killed as an abomination. Will the treaty hold? Will the human race be able to survive if it doesn't? Seraphina joins forces with the captain of the Queen's Guard in attempt to save the peace. I thoroughly enjoyed this piece of YA Fantasy Fiction. The plot was fast paced and yet enough time was spent on character development that I felt as if I knew the protagonist. Seraphina is a smart young woman who learns to accept herself for who she is during the course of the story. She knows how to be alone and relies on her own strength, and yet she also understands the importance of relationships and working as a team. While Seraphina does fall pray to some typical YA motifs (of course she falls for the prince...), the novel feels unique and always remains entertaining. I couldn't put Serpahina down and finished it in a couple days, only to be disappointed when I learned the sequel was not yet out. It is your lucky day, though, because Shadow Scale came out in March of this year. I purchased it on day one and had read the entire thing by the weekend. I won't go into details for fear of spoiling book one, but I will say that Shadow Scale is every bit as good as Seraphina. If you are looking to add a little bit more magic to your day, this book will be waiting for you. Do you enjoy YA books? 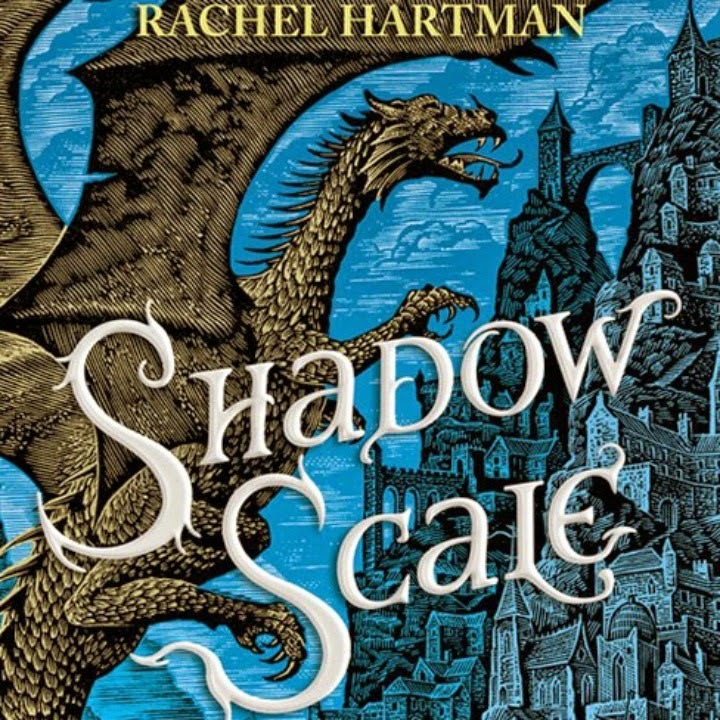 Have you ever read Seraphina and/or Shadow Scale and, if so, what did you think? Prepare yourself, the rest of the pictures aren't going to be so pretty. A little background before we get started. I stumbled across the blog Unfancy by Caroline and became inspired by her pictures of her beautiful wardrobe... made up of only 37 pieces, including shoes. Not only do I love all her outfits (I want to steal her clothes), but the level of ease and organization associated with each post made me wish for something similar. 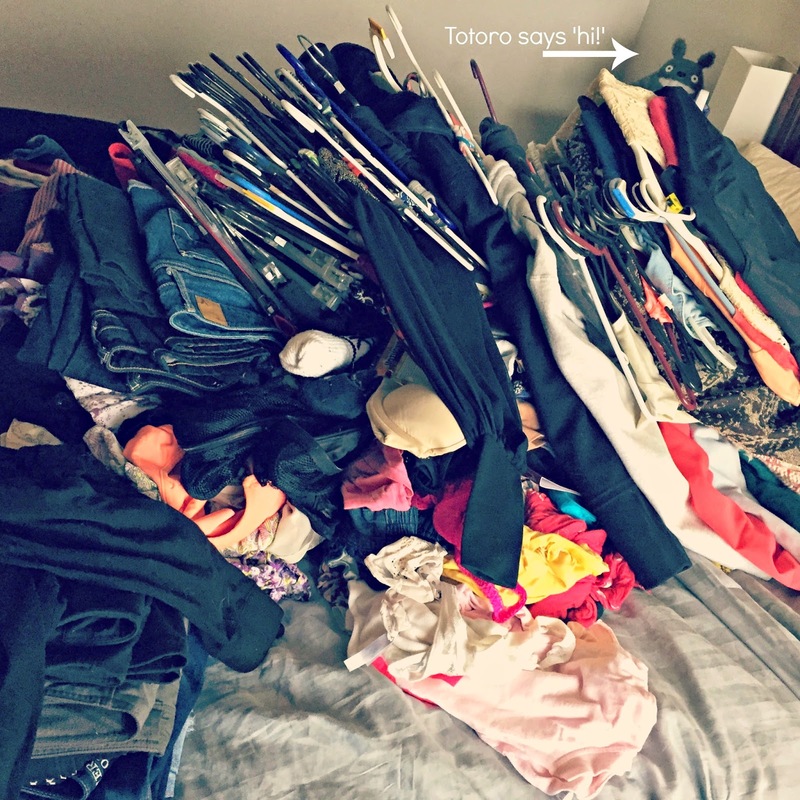 I started by throwing every single piece of clothing I own onto my bed. This picture doesn't even do justice to the mound of clothing. I then divided everything by category. Anything with unintentional holes went into the throw away pile. Everything that was still in good shape, but that I knew I hadn't worn in over a year went into the Goodwill pile. The rest was divided by the type of clothing (shirts in one pile, shorts in another, dresses in yet another, etc.). From there I picked out pieces that were must haves, such as my favorite jeans. I kept all my workout clothes and PJs. Then I sorted down the rest of my clothing based on how often I wear it and how much I liked it (generally they are one and the same). 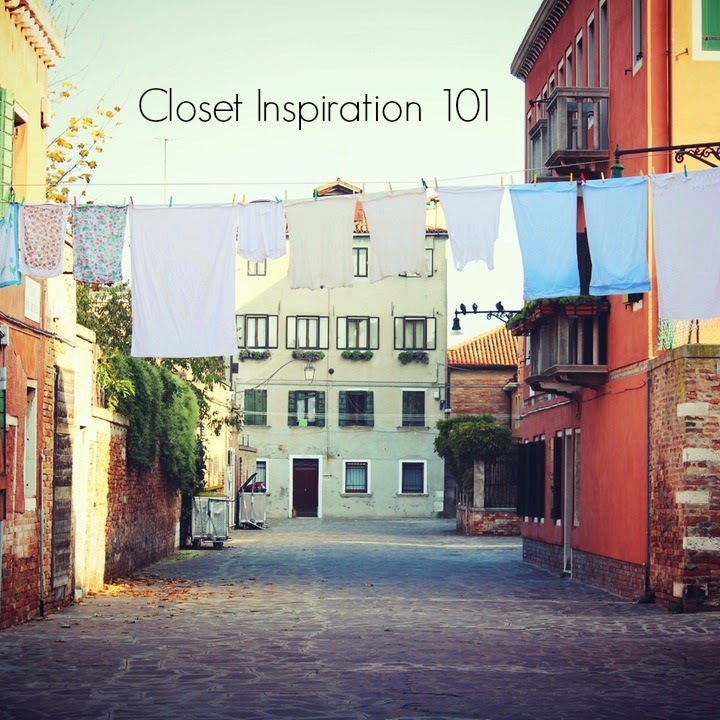 Eventually I got that huge pile of clothes down to minimal closet space. I wish I had taken better pictures, but I didn't originally think I would write a post about this. I was so happy with the end result, though, that I wanted to share! I ended up with four trash bags full of clothing to donate. 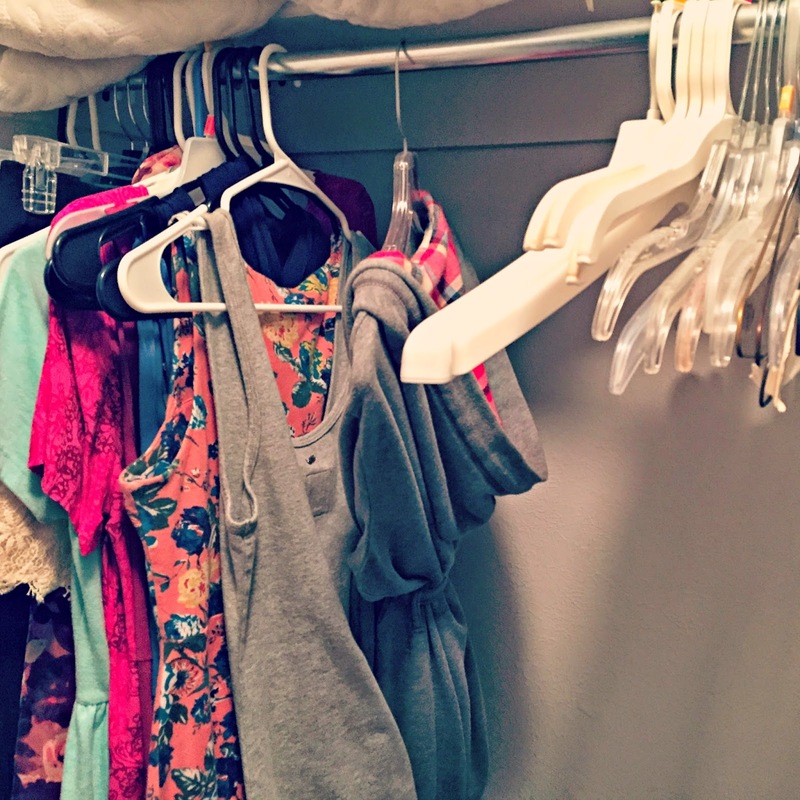 I'm feeling pretty accomplished and it really did make deciding what to wear that much easier! I've decided that my new rule for clothing is that anytime I buy something new, something old must go. 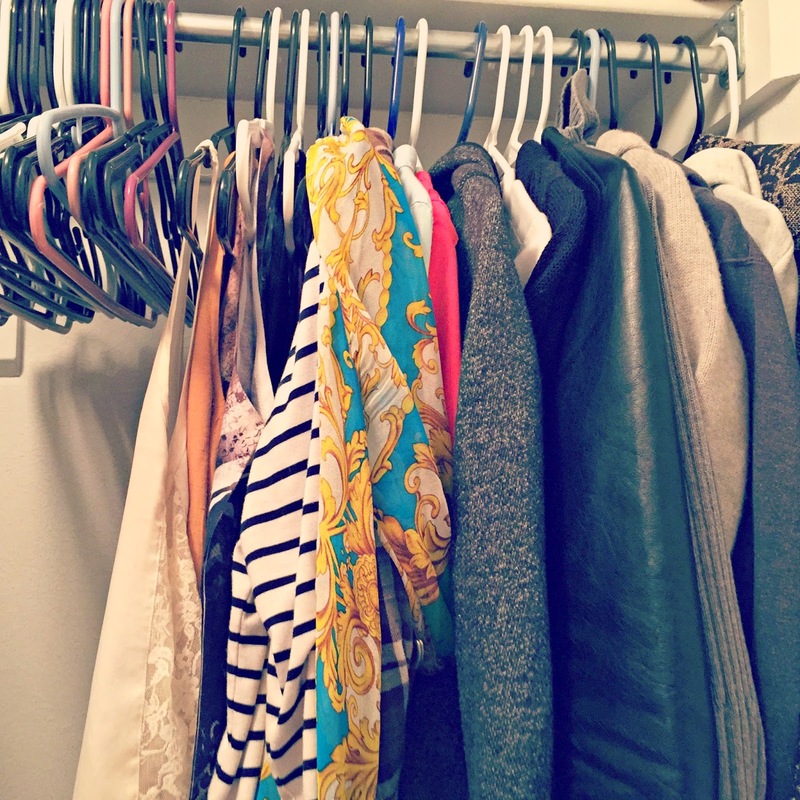 Be sure to check out Unfancy's pages defining what a capsule wardrobe is and how to build one yourself. Nothing quite like a bright blue manicure to get rid of the grey day blues. Don't forget to add a little extra bling. On a request, we're channeling Olivia Pope in this week's Scandal-ous Fashion Friday. Both on and off screen, actress Kerry Washington is know for her sophisticated style. Through crisp cuts and clean lines, she always has a look ready to rock the White House and help America’s upper crust through some sticky situations. We channeled Olivia’s “Gladiators in Suits” mentality by pairing black Jessica Simpson slacks with a crisp white button-down from Christopher & Banks. 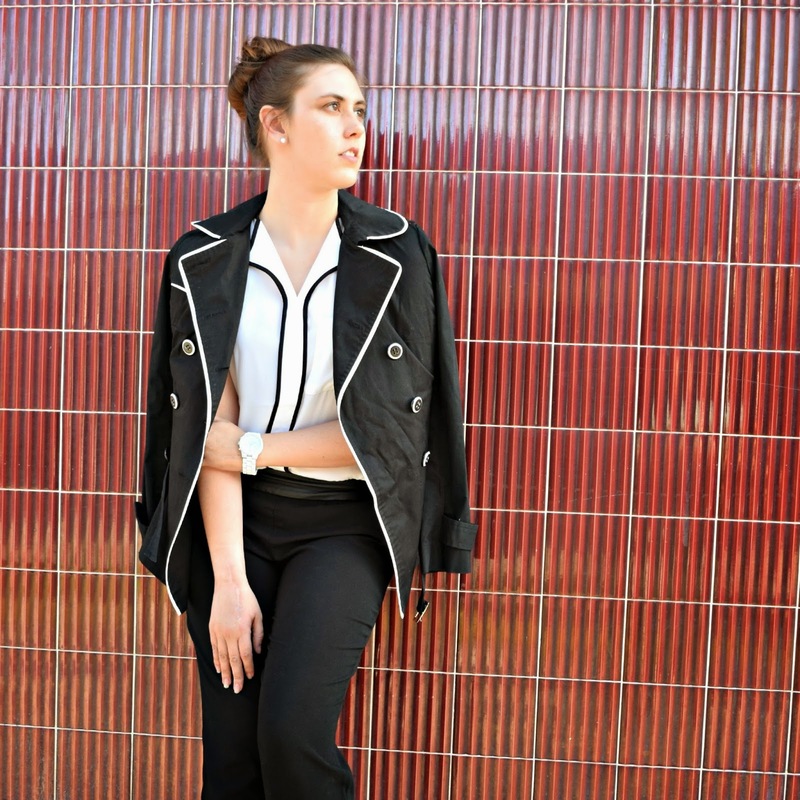 The contrast of black-on-white piping along the shirt coupled with white-on-black piping of this Macy's jacket make the perfect power duo. But no look is ever complete without accessories. "The biggest thing for me are the shoes," says Kerry in a recent interview with Huffington Post. "I’ll wear Uggs around set, but I can’t rehearse a scene in them because I don’t feel like Olivia until I put the shoes on. Shoes define how you walk in the world and how you stand, like: what is your posture in life?" In a world where things are never just black or white, these houndstooth heels from Nordstrom's can go with everything when the going gets tough. With a busy schedule to keep, a watch like this one from CJ Banks is absolutely necessary to stay on track. Rounded out with Ralph Lauren sunglasses and a Coach purse catch-all, we think there is no doubt this outfit would make Olivia proud. On figuring out fashion for herself, Kerry had these words of wisdom to pass on for readers of Marie Claire: "I just put myself in a boot camp of figuring it out—and realized that I really loved it. I guess because I came to it later in life, I realized, 'Oh, going to a fashion show is like going to the opening of Degas at the Met or going to see Swan Lake.'" Here at HTMH, we completely agree. A good outfit is a work of art, and Ms. Washington certainly wears her art well.